In loving memory: Recently we learned of the passing of our beloved Deane Johnson Jr. on Aug. 5, 2013. He was 60 years old and died of a heart attack at his home. 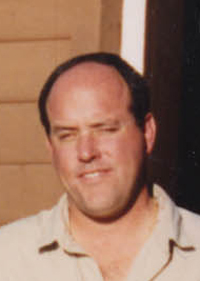 A longtime resident of Ketchum and Hailey, Idaho, he enjoyed the outdoors and his many dogs. He was an avid sportsman and skier. He went on several sporting trips to Alaska with his dad, Deane Frank Johnson, who is deceased. He loved entertaining and cooking for all his friends. We, as his family, would like to extend our deepest sympathy and prayers to all of his friends. He loved all of you. We will miss him. Doris Winter (Deane’s aunt), Linda Cocchi and Janis Bleweth (Deane’s cousins), and Kate E. Johnson (Deane’s stepmother).